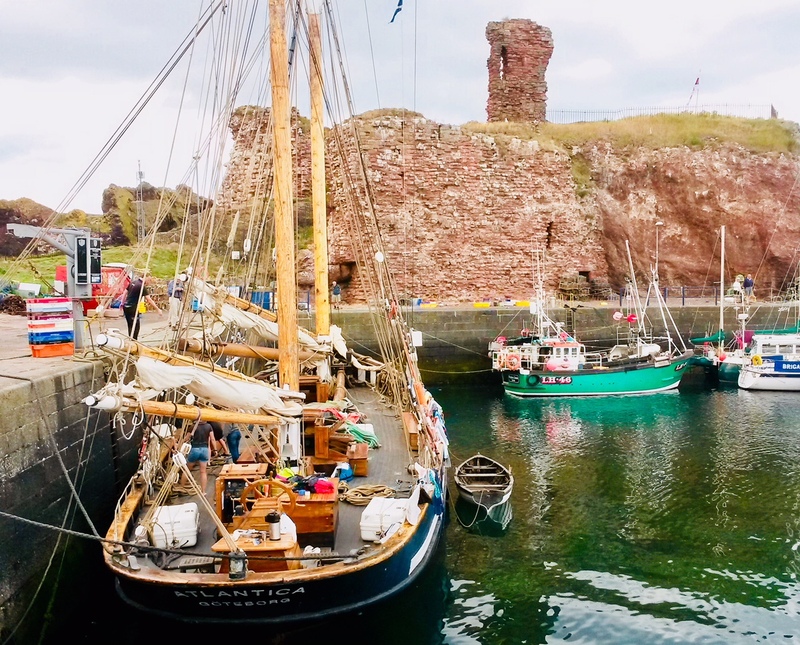 Atlantica: Swedish, 30 crew, departed Dundee on 8th August, arrived off Dunbar that evening having diverted from her original destination of Eyemouth, entered Victoria Harbour at 11am on 9th Aug. to take on fuel. Atlantica was built in Skagen, Denmark, 1981 as a sail training vessel. Since 1982 Atlantica has been sailing with teenage and adult trainees during summer months, and with schools and companies during Spring and Autumn. The trainees work together with the ships' officers to manage the ship in everything from sailing, maintenance to cooking. Atlantica is a “happy ship” and the young officers will do everything in their power to make the sailing a fantastic experience.